Helena Matheopoulos was born in Athens and has lived in London most of her life. She was educated at Pierce College, the American school in Athens, holds a Bachelor’s and a Master’s Degree in Mediaeval History from University College, London and is fluent in six languages. Upon graduation she began her journalistic career as Fashion Editor of The Tatler (3 years) and The Daily Express (2 years) before joining the Arts Page of The Evening News with a weekly column dedicated to interviews with famous personalities in the Arts. She was also a regular contributor to The Sunday Times, Gramophone and Opera Now and a regular columnist for the Saturday magazine of The Times for a year (1992-93). Currently she is International Editor- at-Large of Greek Vogue. Her first book, MAESTRO: ENCOUNTERS WITH CONDUCTORS OF TODAY, published in Britain (Hutchinsons) and the US (Harper & Row), was named “Music Book of the Year 1983” by the magazine Stereo Review. In 1996 she published a biography of King Juan Carlos of Spain, JUAN CARLOS I: A KING FOR TODAY, with His Majesty’s collaboration This was followed by a biography of Placido Domingo: PLACIDO DOMINGO: MY ROLES IN OPERA (Little Brown, 2000), which has been published in eight countries including, of course, the US (Baskerville Publishers). In autumn 2011 “Fashion Designers at the Opera” (an illustrated coffee table volume), is being published by Thames & Hudson in both the UK and the US . Parallel to her writing activities, Helena Matheopoulos was Artistic Advisor to the Athens Megaron from its opening in 1991 to the end of 1995. From 1996-2004, she was Special Adviser for Vocal Projects of London’s Philharmonia Orchestra and, after making it Resident at the Athens Megaron, also Director of its Athens Residency. Since 2000, she has also been a regular speaker at several venues in the US and the UK on subjects related to her books, (e.g., “Callas, the Sacred Flame”, “Greek Gods, Myths and Heroes at the Opera”, “The Art of the Tenor”, The Search for Don Giovanni”, “The Rise and Rise of the American Diva”, “The Art of Placido Domingo” etc). In autumn 2011, she was invited to speak at the Cheltenham Literary Festival, following which she has been invited to the Oxford Literary Festival in March 2012 and the Buxton Music festival in July 2012. 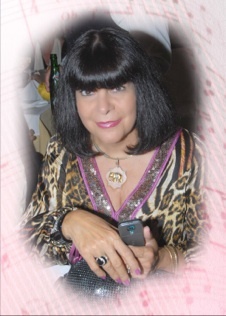 In 2005, she became Artistic Administrator of Apollonian Enterprises, a company specializing in the organization of musical Events, including, in 2005, a concert titled “Greece at the Opera” at the Teatro dal Verme in Milan with 6 soloists and the Orchestra of La Scala, which was repeated in 2006 at London’s, Cadogan Hall with the Royal Philharmonic .